Whether you work exclusively from home or only require a workspace for occasional tasks, a custom home office can make a world of difference when it comes to being productive at home. From your day to day job responsibilities to filing your taxes, having an area set aside in your home for work purposes can help you feel more organized and efficient. Here we’ll explore various reasons why your Jacksonville home could benefit from the addition of a custom home office. One common problem many experience is not having a safe place for their important documents and files. This includes birth certificates, passports, tax documents, and health records. These documents are not necessarily things we need access to (or even think about) often, but nonetheless are important to keep handy. A custom home office provides a place for safe keeping of these types of files. Even if you don’t have much extra space, setting aside one file cabinet or even one drawer for these important documents can save you a headache when you need them. Many Jacksonville homeowners find it’s hard to keep the common areas of their homes tidy. Some are able to use surfaces in these areas (kitchen counters, dining room tables, etc.) for writing and computer work, but others find it hard to work amongst the clutter. The addition of a custom home office in your home will provide you with a designated space just for working. A clean, flat surface can go a long way when you need a place to work on your computer or somewhere to fill out your taxes. 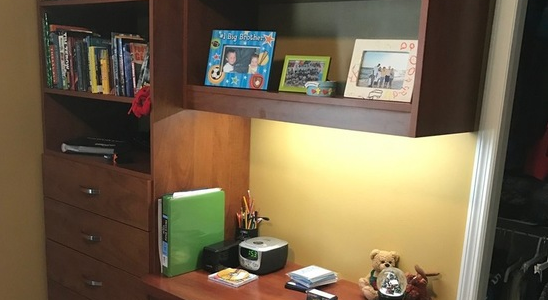 Another reason why your home could benefit from a custom home office is because it would create more storage for the things you need kept organized in order to be productive. At More Space Place Jacksonville, we design and build our custom office furniture components in our own factories. This allows us to provide you with a comprehensive design to fit your available space and your storage needs perfectly. A custom design gives you the freedom to build a setup based on your personal needs. This includes a combination of drawers, shelving, and cabinetry, as well as the flexibility to choose the style and finish of your furniture. Not only will your office space be productive and keep your things organized, but it will also look great in your home no matter your décor style. 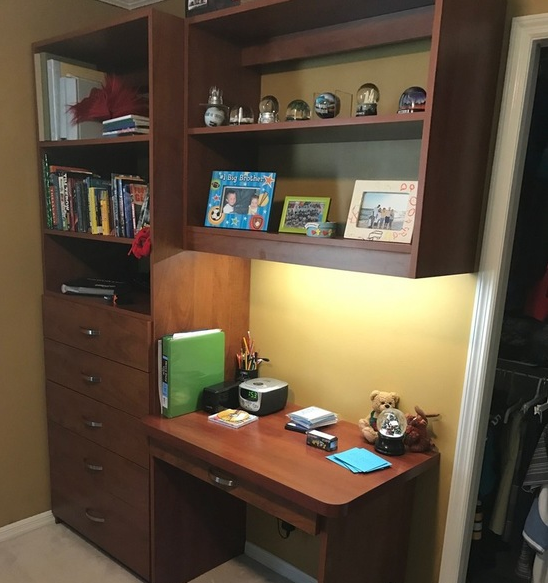 If you want to learn more about our custom home office solutions, or if you’re ready to get started with a free in-home design consultation, call More Space Place Jacksonville today!